The media player you must have. Just drop anything to it, MPlayerX will give you a clear and smooth playback. 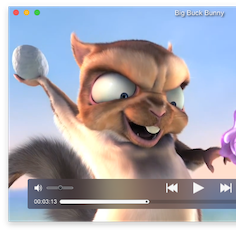 MPlayerX is armed by FFmpeg and MPlayer, which means it could handle any media format in the world without extra plug-ins or codec packages. Pinch, tap or swipe, MPlayerX provides you the easiest way to control the playback. Don't have to remember the keyboard shortcuts or move the cursor among the buttons, MPlayerX will follow your gestures. 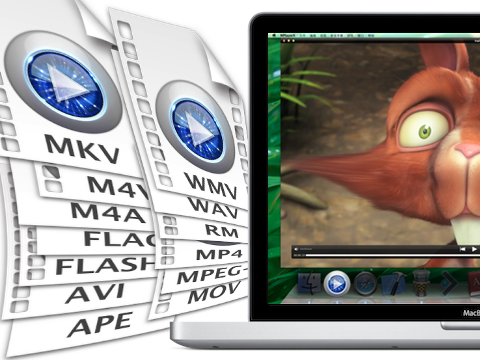 MPlayerX will detect and convert the encoding method of the subtitle file automatically and seamlessly. Not only Latins, but also Eastern Asian languages, Arabic, Hebrew are well handled too. MPlayerX seamlessly plays your favorite in youtube, vimeo, and many others. Click here for details. No play-list? Not really necessary. As long as the file names are numbered in any guessable pattern, MPlayerX could find the next episode in the same folder for you. Enjoy your home theater system. Plug your SPDIF cable, MPlayerX will recognize it automatically and output the raw DTS/AC3 stream. No more extra settings. Keep relaxing in your couch, Apple Remote controls your MPX. It also supports Remote Buddy and Sofa Control. Click to download the Control Script for Sofa.